There are two distinct types of cervical neck pain. 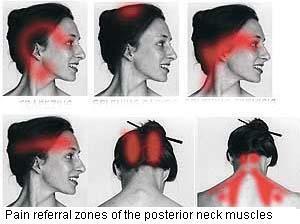 The first type often involves a dull pain in the neck that radiates down the shoulders and arms. Patients may also notice weakness in specific muscles in the arms. A herniated (bulging) disc in the spine pinching a nerve root in the neck often causes this type of neck pain. Discs are found between each vertebra, or bone, in the spinal column. They serve as "shock absorbers" within the spine and have a gel-like center that makes them flexible, allowing the spine to bend and move. However, because the discs are soft they can also bulge and become misshapen. When this occurs, they can place pressure on the spinal cord or irritate one of the nerves leading from the spinal cord out to the arms and upper torso. If the bulge becomes severe, the disc may herniate and push into the spinal canal. The result can be weakness, tingling, clumsiness and numbness in the arm and hands. Bulging discs can be caused by injuries like whiplash, stress on the spine by overuse, or by arthritis/degeneration in the spine. The second type of neck pain often isn't experienced as 'pain' by patients at all. It usually involves numbness or weakness in the arms or legs, difficulty walking, loss of pain or temperature sensation in the hands and arms, poor balance and stiffness in the neck. In this case, there is pressure directly on the spinal cord. Because this type of "pain" is not felt in the neck itself, it is easily misdiagnosed. 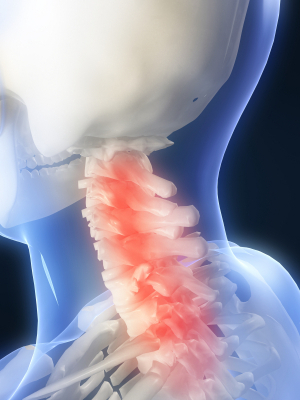 Whiplash-a soft tissue injury to the neck-is also called neck sprain or neck strain. It is characterized by a collection of symptoms that occur following damage to the neck, usually because of sudden extension and flexion. The disorder commonly occurs as the result of an automobile accident and may include injury to inter-vertebral joints, discs, and ligaments, cervical muscles, and nerve roots. Symptoms such as neck pain may be present directly after the injury or may be delayed for several days. In addition to neck pain, other symptoms may include neck stiffness, injuries to the muscles and ligaments (myofascial injuries), headache, dizziness, abnormal sensations such as burning or prickling (paresthesias), or shoulder or back pain. In addition, some people experience cognitive, somatic, or psychological conditions such as memory loss, concentration impairment, nervousness/irritability, sleep disturbances, fatigue, or depression. Treatment for individuals with whiplash may vary and include pain medications, non-steroidal anti-inflammatory drugs, antidepressants, muscle relaxants, and a cervical collar (usually worn for 2 to 3 weeks). Physical therapy that includes range of motion exercises, cervical traction and supplemental heat application has proved to be extremely helpful for a quicker recovery. Generally, prognosis for individuals with whiplash is good. 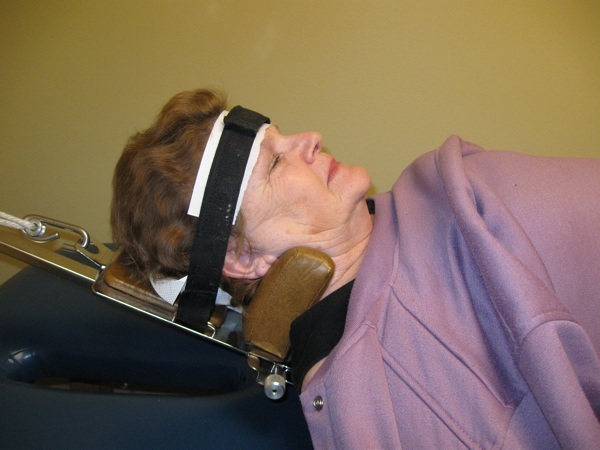 The neck and head pain clears within a few days or weeks. Most patients recover within 3 months after the injury. 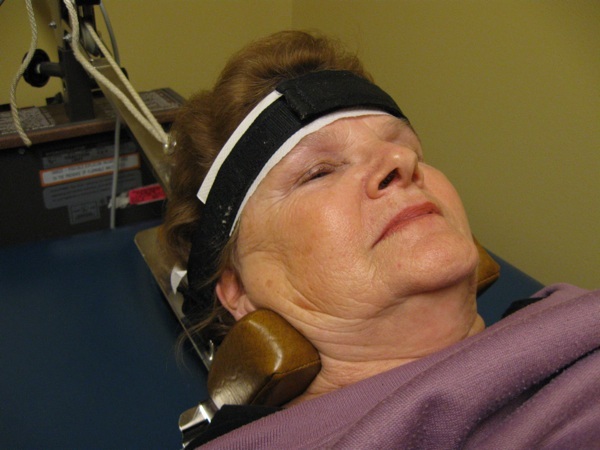 However, in more severe cases some may continue to have residual neck pain and headaches.